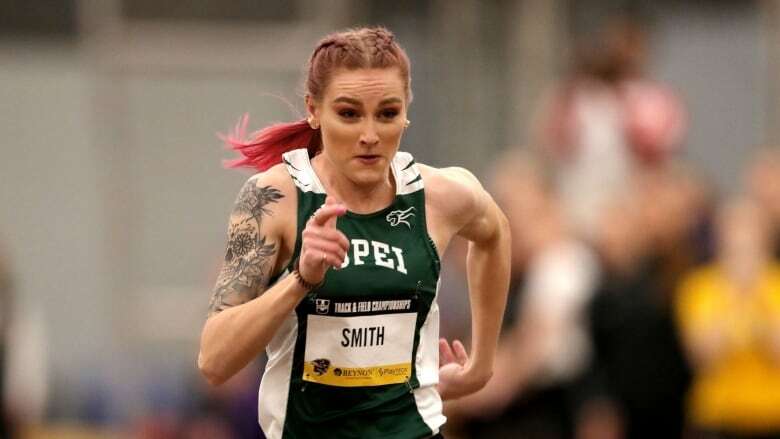 Bailey Smith claimed the silver medal at the U Sports Track and Field Championships in Winnipeg, Man., on Thursday night. The fourth-year UPEI nursing student competed in the 60-metre final with a time of 7.498 seconds. The Mount Stewart native was named track athlete of the year by Atlantic University Sport this season — her second time being awarded the title. Smith finished second only to the University of Lethbridge's Sandra Latrace who took gold with a time of 7.421 seconds. May Reynolds of Dalhousie took the bronze with a time of 7.506 seconds.